Congrats to the Rivals 3 Stripe Camp Atlanta Running Back MVP Jo’Quavious Marks!! Boys Varsity Football · Mar 27 Carver Panthers Football Team Claims Region Title and State Semifinals Appearance! Boys Varsity Football · Oct 3 Panthers hold off cross town foe Grady! 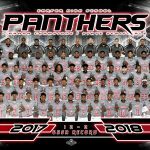 The Carver Panthers Football team held off cross town foe Grady for a 22 – 15 victory and move to 5 – 1 overall, 3 – 0 in the region. Senior Quaterback Octavious Battle was 9/13 passing for 210 yards, and sophomore Running Back Jo’Quavious Marks rushed 18 times for 205 yards and 2 touchdowns. Boys Varsity Football · Sep 27 Quindarious “Smoke” Monday is an Under Armour All – American! Boys Varsity Football · Sep 27 Quarterback Octavious Battle Selected as Offensive Back of The Week by Atlanta Touchdown Club. Boys Varsity Football · Sep 18 Carver – Atlanta Football Team Dominates Maynard Jackson 28 – 10!